Having spent the previous day in art and Guinness land, we decided to get out of Dublin and see some of the surrounding areas. Trawling through the leaflets in Dublin’s tourist information office, we found one likely candidate in the form of Howth. Hey, it had a cutely illustrated map, the promise of some walks around the headland and it has the tagline “Howth is Magic!” There could be no other place to go! So on Monday morning we headed to the nearby DART (the suburban train network) station for a trip out of Dublin. Cunningly Howth is at the end of one of the branches and in barely thirty minutes we were standing near the harbour wondering what to do next. Howth is on the peninsula of Howth Head, and as soon as you leave the station, large signs proclaim that you can go on a variety of walks around it. We decided to go for the walk around the entire headline and dutifully headed off, and were soon out of the village and walking past signs erected by the Samaritans proclaiming that it would be far better to give them a ring… Hmm… Perhaps not the most encouraging start. 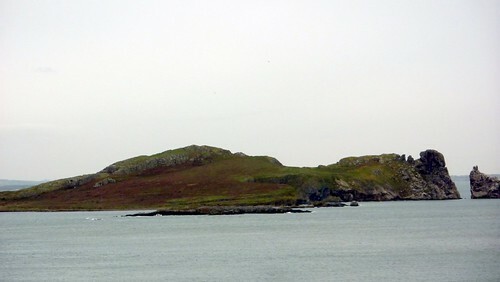 Also at Howth is an island called Ireland’s Eye and as we rose up the hill, we got a good view of it. The name is entirely non-optical – it was called Eria’s Island in Celtic times and the Vikings changed Island to the Norse equivalent, Ey. Eria is a woman’s name but ultimately the similarities with Eire led to it becoming Ireland’s Eye. As we walked on, it began to rain slightly and as the path curved round the headland, there was little to see bar sea and hill, until about half way round near Bally where there is a lighthouse. And nearby – away from the coast – is the Summit Inn. And it being nearly lunchtime, we popped in for some pub group. It was a little gem of a place, with a warm fire and very large portions of food. And as is often the way when you find yourself in a great pub, we stayed quite a while before deciding we needed to brace the wind again. 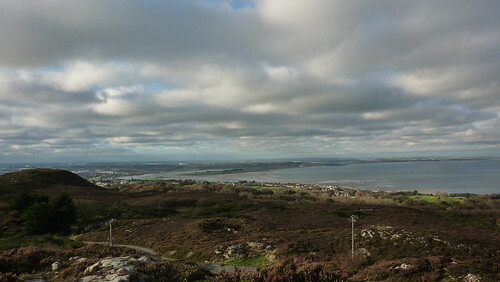 Abandoning our plan of walking round the headland, we followed one of the other paths up to the summit of Howth Head itself, which afforded us some lovely views of the area, before coming down and finding ourselves lost in a housing estate…. Howth is where a lot of Dublin’s middle class live, and by all accounts, Enya owns quite a lot of it so make of that what you will. We made very little of it, and after what some time finally found ourselves back in the village. 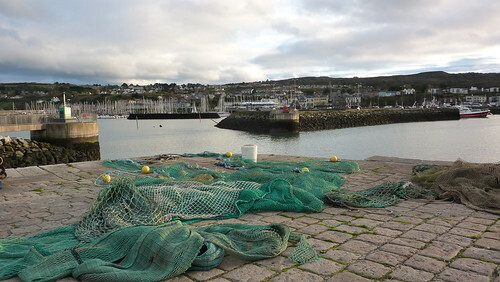 Given how Howth is sold, you may expect it to be some cute fishing village. The reality is that its just some buildings and a harbour and doesn’t really look the part. Still, we took a stroll to the end of the harbour and admired the view back. The edge of the harbour is lined with fish restaurants, so perhaps not the best place to take a vegetarian. 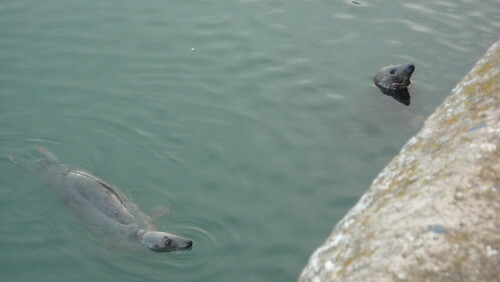 However the harbour does include a colony of seals who loiter around waiting for gullible tourists to throw them fish.